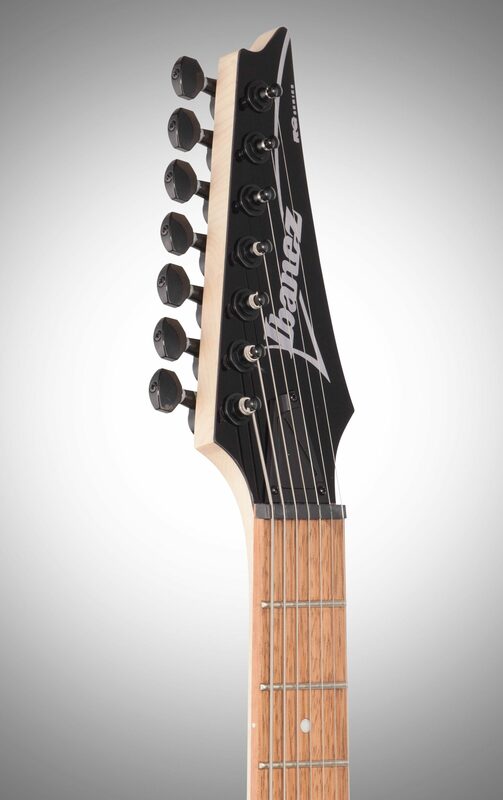 The Ibanez RG for Shredders-To-Be! 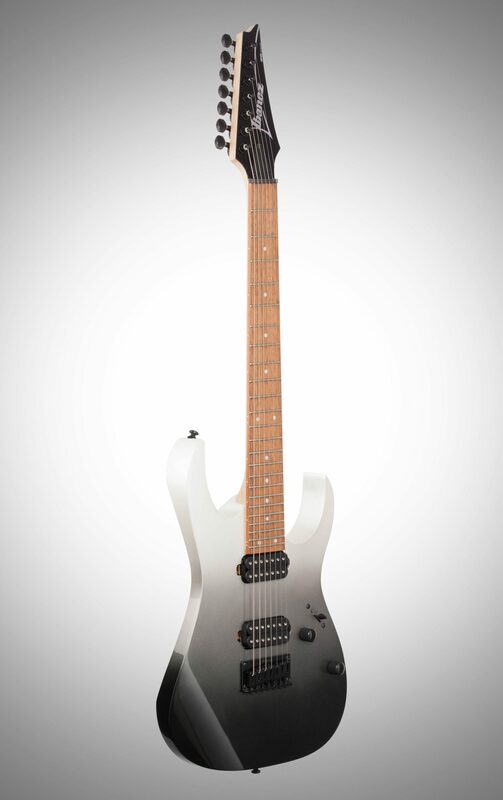 The Ibanez RG7421 is an awesome way to get a great 7-string in your hands at a super-reasonable price. This little monster gives you serious 7-string shredding power right out of the box! A number of design elements found on other world-acclaimed Ibanez guitars come together here in this high-speed, high-output axe. 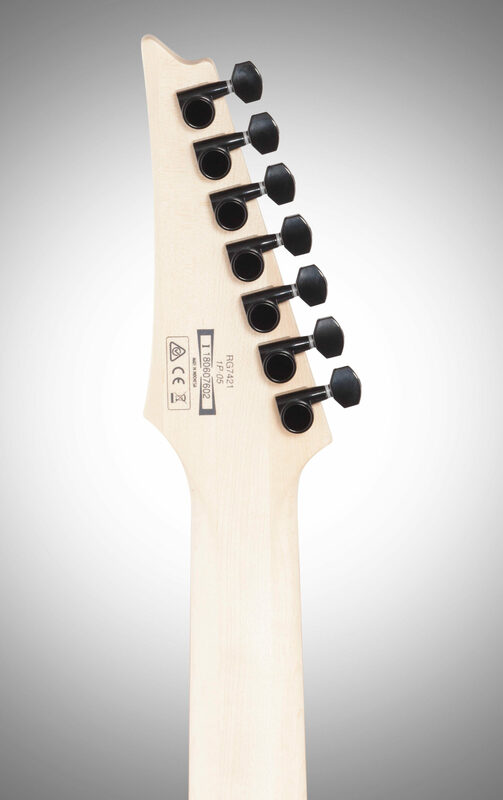 Your best friend on the Ibanez RG7421 is going to be the Maple Wizard II-7 neck, specially contoured to maximize lateral hand movement. The mahogany body, meanwhile, is light and well-balanced, designed to be worn for extended playing. You've got 24 gleaming steel jumbo-sized frets in a jatoba fingerboard here, giving you great tone and feel. The AH17 humbucker in the neck is matched perfectly with its counterpart, the AH27 bridge pickup. These humbuckers are designed to deliver everything from clean, sparkling tones that sound killer with a big chorus pedal, all the way to screaming leads and crunching power chords. You can further tweak these tones into seemingly infinite combinations via the five-way switching toggle, which also allows you to coil-split the pickups and achieve even more tonal possibilities. 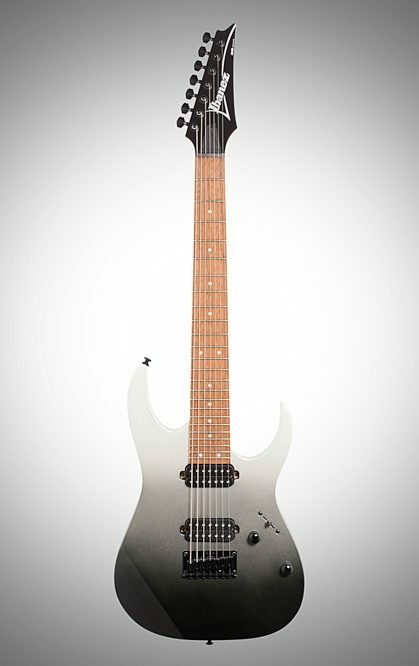 The Ibanez RG7421 is purposely built for high-speed, low-drag shredding -- in all its 7-string glory! The 3-piece Maple Wizard II-7 fast neck and well-balanced mahogany body make it very comfortable for extended playing, with a good balance of highs and lows. Its 24 jumbo frets offer easy playing for leads and chording, while the fixed 7-string thru bridge provides great tone and sustain. You have total tonal control via the five-way switching of two Ibanez Axis 7 humbuckers with coil-splitting capabilities. 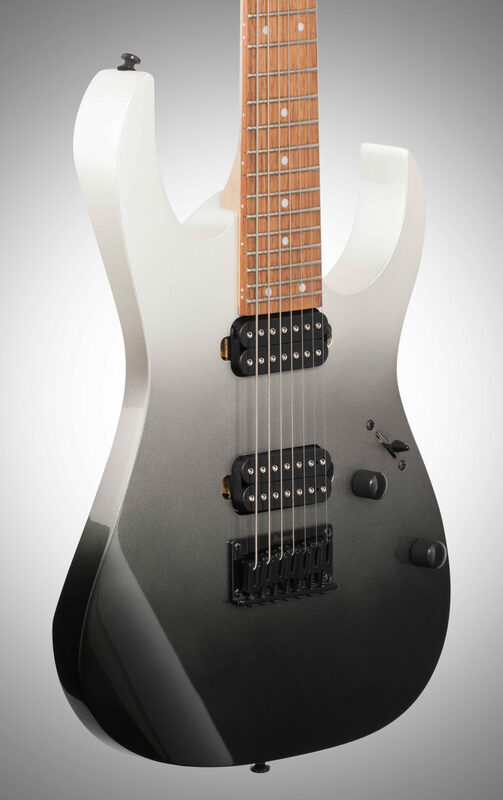 The RG7421 is a definitive guitar for those about to play 7-string. Since 1987, many players have selected the Ibanez RG as their weapon of choice for inflicting sonic mayhem on the metal masses. With the right choice of pickups and flat, fast necks, the RG crunched its way to classic status. Sound: The sound quality is pretty good believe it or not with the stock pickups, definitely have enough distortion to get pinch harmonics anywhere that I can on my Seymour Duncan JB equipped Schecter C-1. Although, the 7th string (B) or in my case G# can be a little muddy but this is why I also picked up a Dimarzio Crunch Lab and Liquifire to replace the stock pickups. But for now, it does fit my musical style pretty well which is mostly groove/progressive metal (or the cliche Djent term). It sounds great with other low gain music as well too, the 5 way selector which offers single coil mode is pretty useful. Clean sounds are pretty good . Keep in mind I'm only running through a Line 6 Spider II. Tips for making it sound better, would be include some dimarzios, or duncans as stock pickups which I know would increase the price but most of us are going to replace them anyways. Feature: The most useful feature I would say is the 5 way switch, giving a variety of sounds. This is a pretty basic set up, so I wouldn't say there is anything useless at all. It has 7 inline tuners which I feel are more stable than the grovers on my schecter, they are nice and tight. It has a 25.5" bolt on (vs. my set through Schecter) maple neck with rosewood fingerboard with a more D shape to the neck, but also pretty thin compared to my schecter (a beefier U/C shape neck). The transition is actually quite comfortable coming from my 6 string. A flattop basswood body with 2 humbuckers, a 5 way switch, and volume (which I find gets in the way when trying to sweep pick, but I'll just have to adjust my playing style) and tone knobs. It also has a gotoh hardtail bridge. Ease of Use: It's very easy to get clean sounds out of this guitar, the distortion is pretty good as well, again a little bit of mud on the 7th string when tuned lower. It's easy to use with my amp, it's plug and play. Learning curve, is actually little to none it was an easy transition. It's very playable, the neck is fast and the bridge is comfortable. The body also has a nice belly cut and relief for your forearm. Quality: This product is assembled in Indonesia, my Schecter was in Korea. 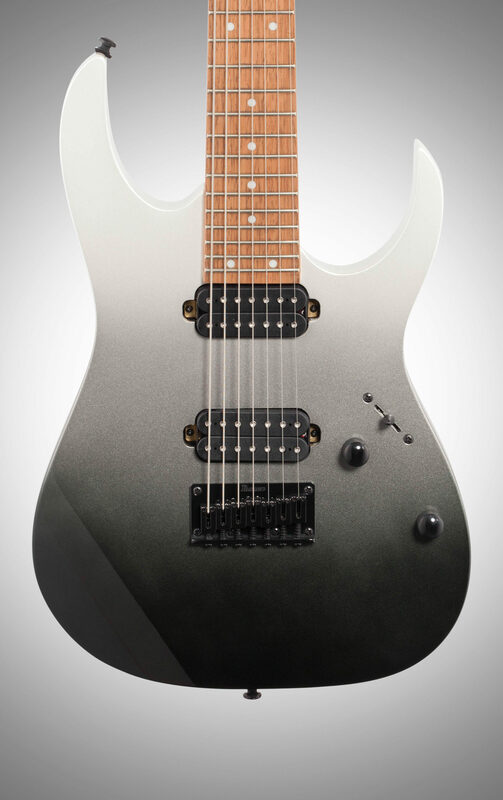 With that being said, I do think the Schecter's fit and finish is better but not too far ahead of the Ibanez. But, you get what you pay for with a $400.00 guitar. I bought this knowing it was not going to be a premium or prestige model. I haven't had it long, so I can't relaly comment on it's reliability. But from what I have seen so far, it feels very ruggedly made and everything feels nice and solid. Value: I think this product is 100% worth it's asking price. It's a solid guitar, the stock tone is great under clean/slightly overdrive tones, and acceptable under high gain. 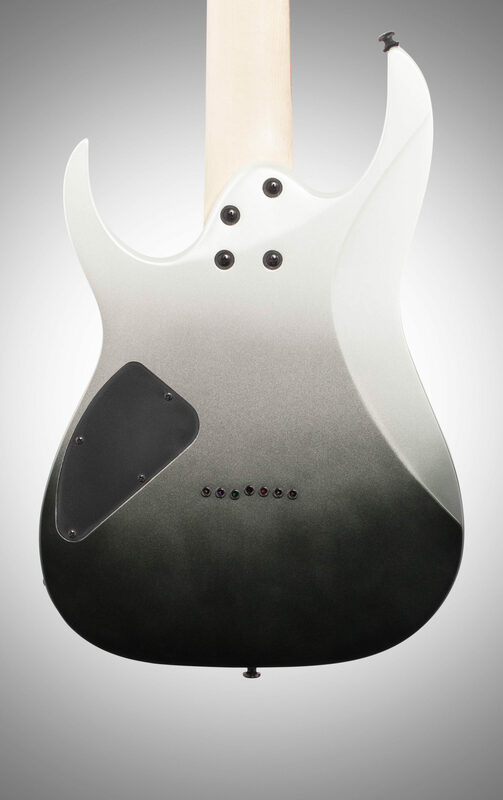 Again, to have it come stock with better pickups would increase the cost further. So for this price, it is very much worth it. 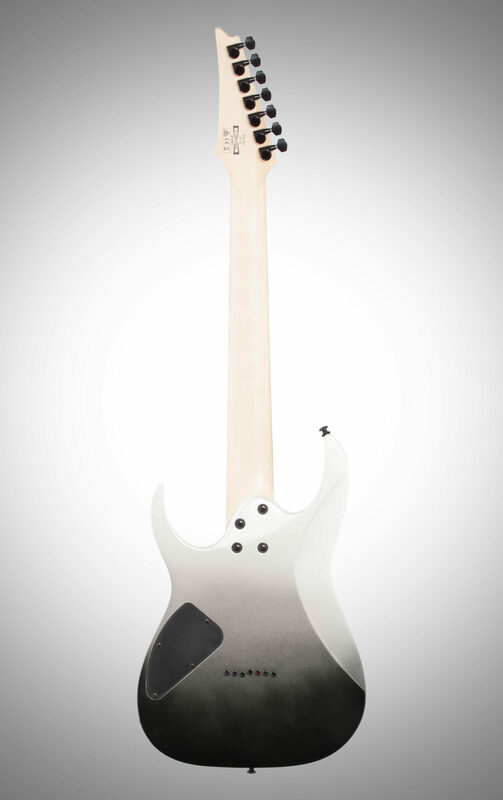 Playability is great, loving the Ibanez Wizard neck. Manufacturer Support: I have not dealt with Ibanez before, but I have dealt with Zzounds before. They are easy to get ahold of and very friendly. I have not yet had any problems with Zzounds and very much enjoy the play as you pay plan. The Wow Factor: I find this guitar very appealing, especially with the white finish. What makes it even more appealing is the price and the stock features it comes with. I could have bought a baritone 6, but I've wanted a 7 for awhile. It just offers more tonal and range opportunities. Overall: In short, great guitar for the $. Stock pickups leave a little to be desired when down tuning. Playability is excellent. Quality is definitely acceptable, but not above and beyond. Style of Music: Metal, Progressive, Rock, Blues, Country, Acoustic, Folk. 36 of 39 people (92.31%) found this review helpful. Did you?